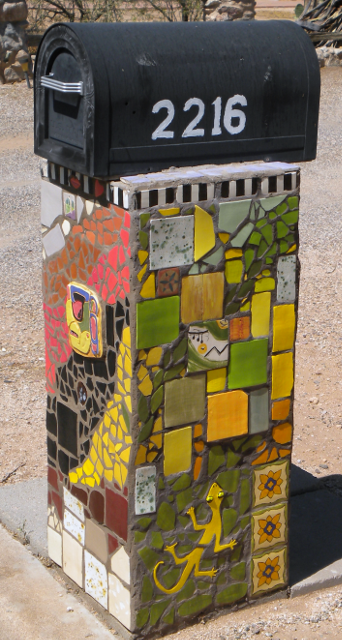 What a riot of colored tile on the post of this mailbox! I'm not sure why I didn't snap a photo from the back side. While I was there, I spotted a tile mural out of the corner of my eye. 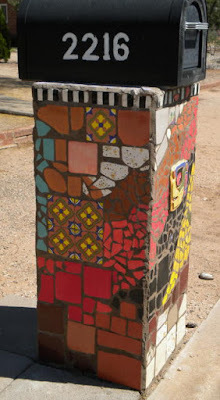 You can see it on the Tucson Murals Project blog entry, Striking on Sycamore.